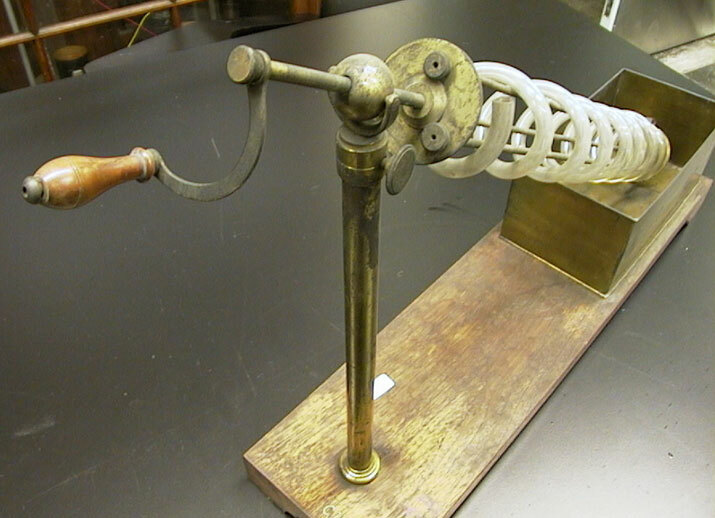 Pumps can be classified by their method of displacement into positive displacement pumps (trap fluid to increase pressure), impulse pumps (trap air to increase pressure), velocity pumps (move water mass to increase pressure), gravity pumps (weight of fluid; ala syphon / Heron's fountain), steam pumps (boil at bottom, distil at top). 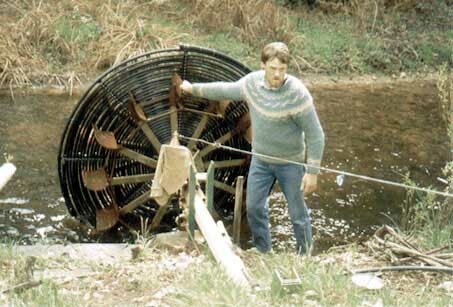 http://www.mcs.drexel.edu/~crorres/screw/screw.pdf Calculating the optimal design of an Archimedes Screw Pump. Commonly found in aquariums (although impeller pumps seem to be making headway) these work by injecting air into the bottom of a vertical tube which is open at both ends and placed with its top sticking up above the water surface and its bottom some depth below the waters surface. 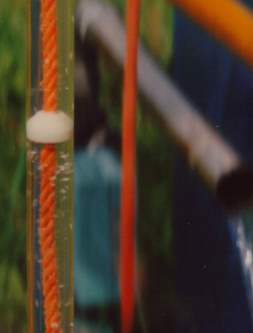 The bubbles rise and expand and water is driven up the tube by the ascending bubbles. Water (and air) exit from the top of the tube. where vf and vg are the specific volumes of the liquid and vapor respectively, and Ã (sigma) is the surface tension. Note, for a given fluid in a tube of diameter greater than that predicted by this equation, slug flow will never occur. When used to pump water, 60% of the length of the pump must be submerged and you will need 0.43 psi of air pressure for each foot of water above the outlet of your air tube. http://www.airliftech.com/ Windmill driven bubble pump. http://www.millennium-ark.net/News_Files/INFO_Files/Hand_Pump.html Easy to build check valve hand pump. With parts list and instructions. http://www.newdawnmagazine.com/articles/a-new-theory-for-the-great-pyramid-how-science-is-changing-our-view-of-the-past Was the Great Pyramid a combustion powered water pump? http://www.experimentarium.dk/uk/naturvidenskab_og_teknik/schiolers/index.html Photo collection of water lifting devices.